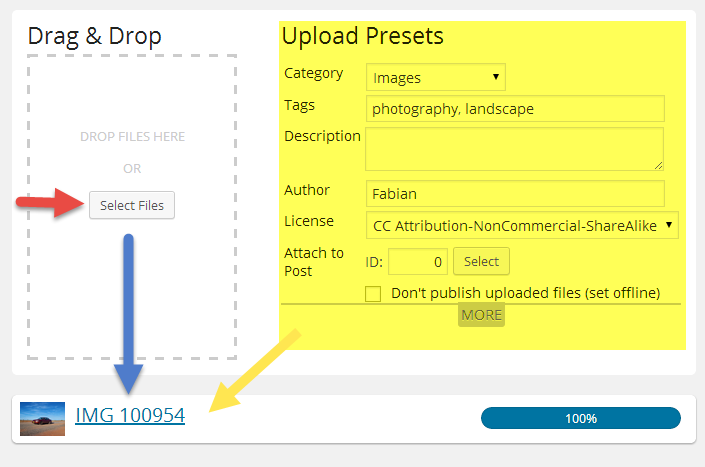 This description applies for both the backend Batch Uploader and Embedded Forms with advanced Drag&Drop uploader enabled. Using the batch uploader multiple files can be uploaded with the same properties, e.g. category, access permissions, description, etc. Drag and Drop one or multiple files into the dashed-outlined area. The properties, e.g upload presets from the form besides are applied to each file that is queued for uploading. Once a file is queed, chaning the presets will not affect the file anymore. Reading the form values is visualized by yellow flashing. As soon as a file is completly uploaded, it will be processed by the server. This includes thumbnail generation, ID3/file info scanning, PDF indexing for PDF documents and other operations. You have to optimize every little thing for a higher conversion rate. how essential the very first few words of a message are till I had more than message in my inbox. The initial few words. Learn various advance and latest advantages of updated Mozilla Fire fox through here https://foxdownload.org and download free of cost.Browse faster and smoother.Thank you.